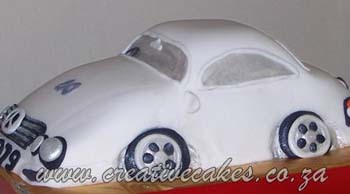 This cake was made for someone who has a vintage mercedes benz car. It was for his 40th birthday party. Everything was hand sculptured from the mags to the mercedes logo on the font of the car. I believe this was quite a hit at the party.